Well, maybe that's what ol' Bruce used to say, before the events of Finding Nemo, but over in Disney California Adventure, at the Pacific Wharf area, the fish are very much food--in that they point to the locations of the dining establishments that dot this area. It's a cute sign, and a playful detail in this San Francisco-inspired area that makes for an interesting subject. 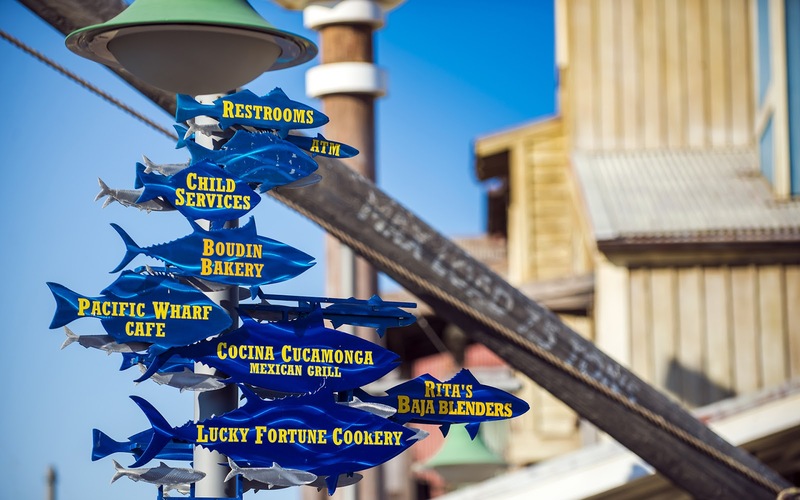 Some fishy signage abounds at Pacific Wharf.